I was starting a different post for today, but then I read this. “Switzerland will hold a vote on whether to introduce a basic income for all adults, in a further sign of growing public activism over pay inequality since the financial crisis. A grassroots committee is calling for all adults in Switzerland to receive an unconditional income of 2,500 Swiss francs ($2,800) per month from the state, with the aim of providing a financial safety net for the population. Organizers submitted more than the 100,000 signatures needed to call a referendum on Friday and tipped a truckload of 8 million five-rappen coins outside the parliament building in Berne, one for each person living in Switzerland. So if any country could do it, it would be Switzerland. And the fact that they government gives its people so much influence is awesome. There’s another proposal going through to limit executive monthly pay to no more than 12 times their lowest-paid staff gets paid in a year. Again, I don’t know if that’s going to happen, but I like how the people can force their hand in getting their parliament to talk about it, and it’s a really good message to other countries *cough cough* that there’s a problem. In the states, it seems that the majority of influence on Congress comes from lobbyists and wealthy constituents. And of course, that raises the question of government involvement and responsibility to provide a safety net for its citizens. I guess with all citizens receiving the same benefit, there’s no respecter of persons in that sense. But let’s not let all that political talk ruin our good fun. There are too many talking points going around the internet these days anyway. Instead, let’s just sit back and imagine a life where we got $2,800 a month for doing nothing…that sounds delicious. Time to move to Switzerland! I don't think that money stretches quite as far I Switzerland…but still. I really want to move to Denmark…it's the happiest place on Earth! It's true. 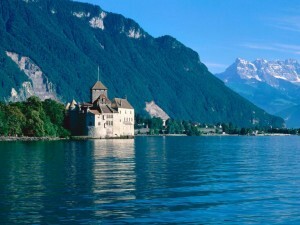 I read that the cost of living in Switzerland is about 93% higher than here, but that would still be amazing. Denmark is happy, but you'll be paying 50-70% in income taxes for that happiness 🙂 But healthcare and education are paid for by the government there, so that may be worth it. I read about this the other day! I think $2,800 a month for nothing would be amazing. However, the other law that says that CEO's should be paid as much as their lowest paid worker just isn't good, IMO. I think that it would limit people's drive and motivation. But you're right – it's incredible that these laws are even being discussed, whether or not they happen. I wish we had more of a say in our own policies. Good thought. That would definitely put a lot of exec-level people in a position where they're looking outside the country…but I do like that they passed a law where shareholders have a binding vote on compensation. They obviously have to keep the execs happy so they don't drive the company into the ground, but they can also keep it so it's not ridiculous like some of the stuff you see here. Yeah, I've heard a lot of good things about Denmark from my friends who travel. It's really a good place to settle down but you'd really have to be more stable financially.